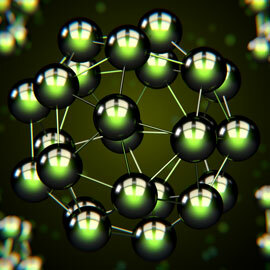 Our Chemistry and Physics program explores the chemical and physical properties of materials with a focus on unique properties at the nanoscale. You'll graduate with a Bachelor of Science and a solid theoretical foundation in chemistry and physics through both classroom lectures and laboratory experiments. This program is experiential with experimental and computational labs in Chemistry and Physics. Upper-year classes are small and there are opportunities to conduct research under faculty supervision in either Chemistry or Physics. Understanding the properties of materials from both a Chemistry and Physics viewpoint provides you with a unique perspective. Calculus & Vectors at 75%.